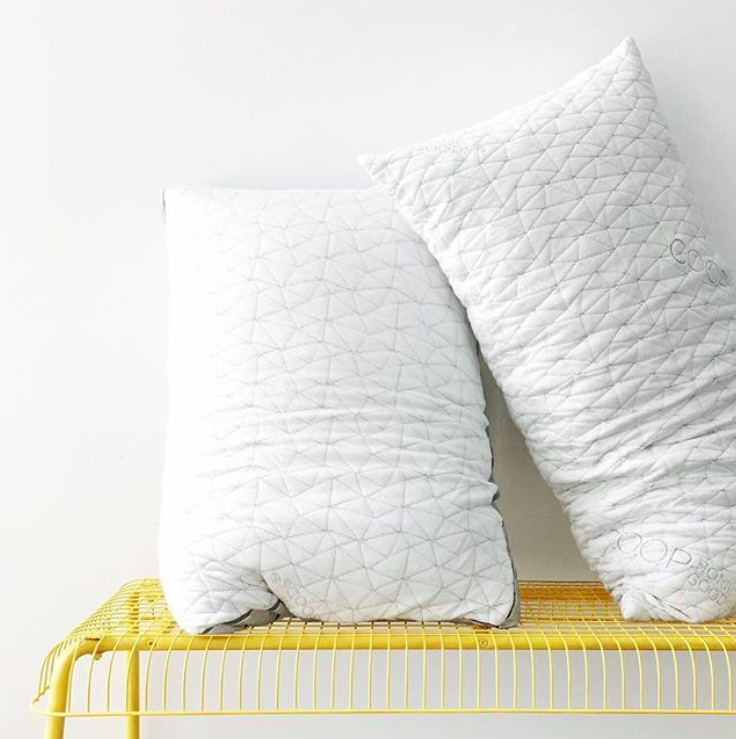 Attention all sleepyheads: these are the pillows you've all been dreaming about. 1. Casper only carries ONE pillow style. Why offer a variety of options when the one-and-only is already the best? Its pillow has a *pillow-in-pillow* design, meaning there are TWO layers that work hand-in-hand to provide optimal support and softness. 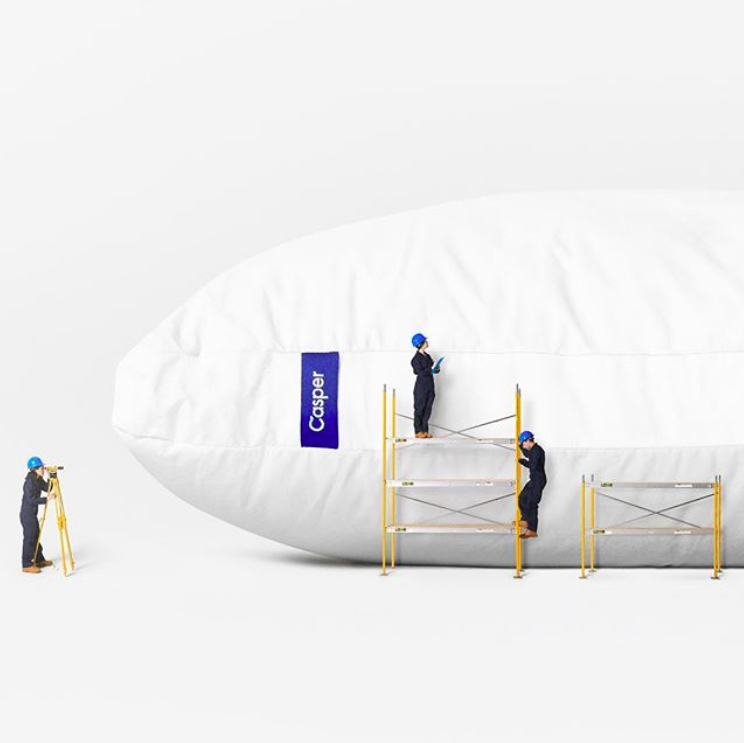 Why it's great: Casper tested over 60+ materials and came down to using the best — siliconized synthetic fibers. The inner pillow serves as the main squishy, supportive core. 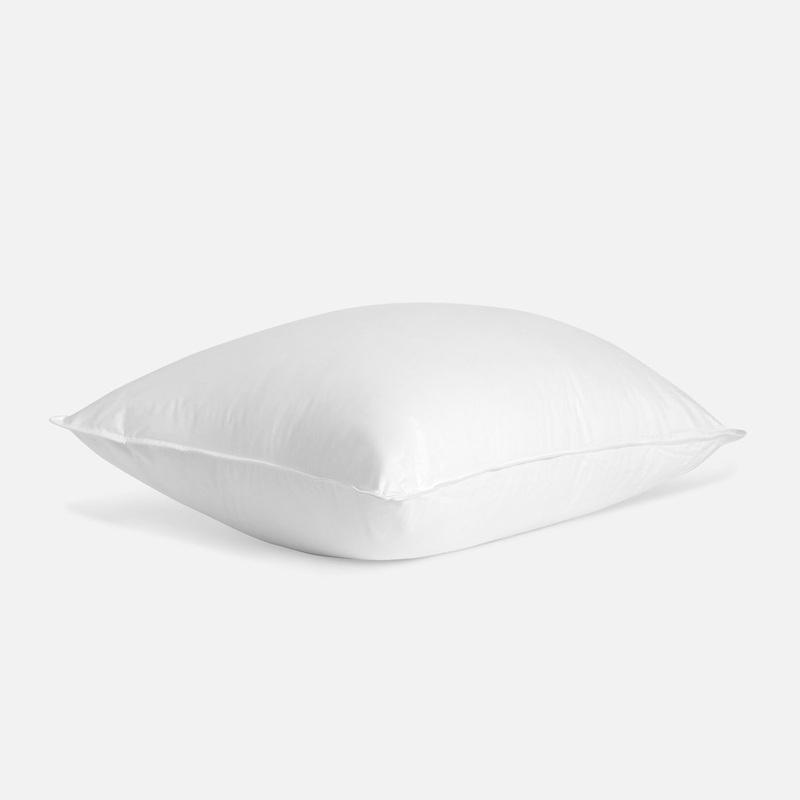 The outer pillow provides a fluffy and soft feel. 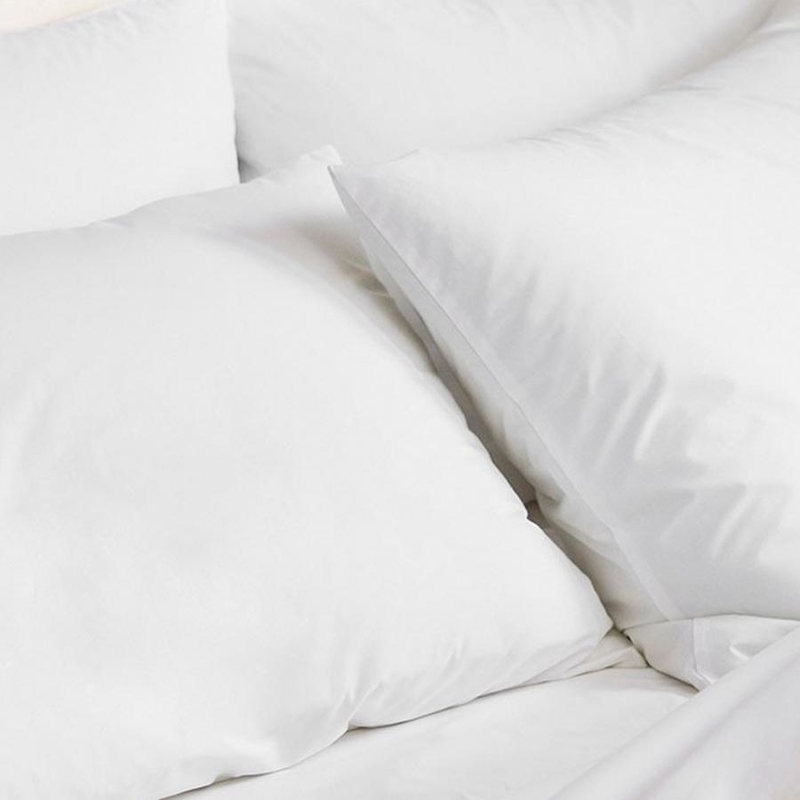 The 100% cotton cover is airy and breathable, so your pillow is always cool. Best of all, this pillow is perfect for ALL sleeping positions. And if you end up falling in love with their bed pillow, then I'm sure you'll be a fan of their nap pillow as well! Shipping: Free shipping and free returns to the 48 contiguous United States and most of Canada. More shipping info. Get the standard pillow for $75 and the king size pillow for $95. 2. Amazon never fails to have a large selection of anything and everything — including a handful of highly rated pillows. Why it's great: Amazon's Prime shipping is unbeatable — when you purchase new pillows, wouldn't you want to rest on them babies ASAP? I would! While shopping for pillows, you could also replenish your pantry or pick out a new date night outfit, and get them in the same package with your pillows. Also, most Amazon products have tons of user reviews and photos, so you can see how everyone else enjoyed their purchase. Shipping: Shipping varies based on the item but Prime members get free two-day shipping on all eligible products. 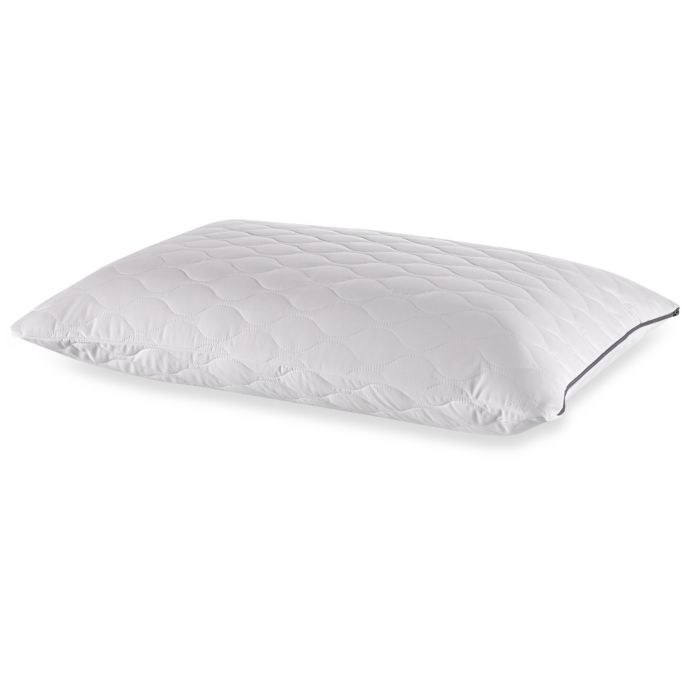 Get this 2-pack Beckham Hotel Gel Pillows for $35.99+ (available in sizes standard and king) and the Coop Home Good Hypoallergenic Memory Foam Pillow for $59.99+ (available in sizes queen and king). Check out why Beckham Hotel won as our budget-friendly pick for the best pillow on BuzzFeed Reviews. 3. Bed Bath & Beyond is obviously known for its — you guessed it — bedding selection! If you're shopping for a pillow, this is a hard place to miss. 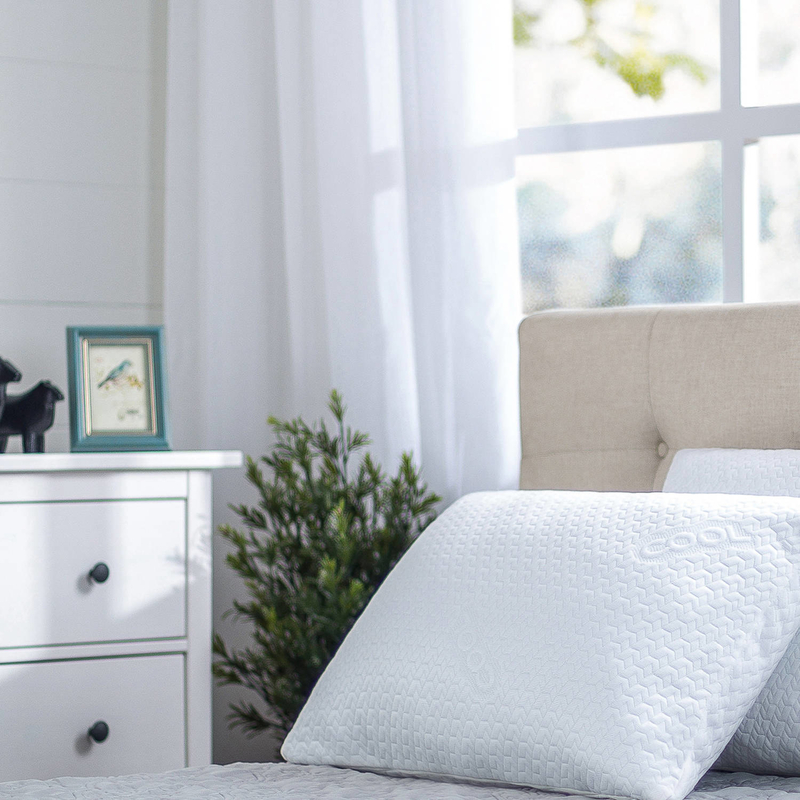 Why it's great: Being one of the oldest specialty retailers for bedding and bathroom supplies, you can trust the products it carries are nothing less than exceptional. Shipping: Free standard shipping with any online purchase of $39. 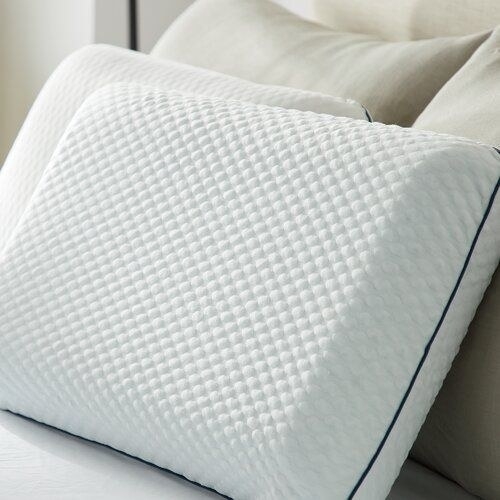 Get the Claritin Ultimate Allergen-Barrier Pillow for $49.99+ (available in sizes standard and king) and Tempur-Pedic Cloud Premium Soft Pillow for $99.99+ (available in sizes queen and king). 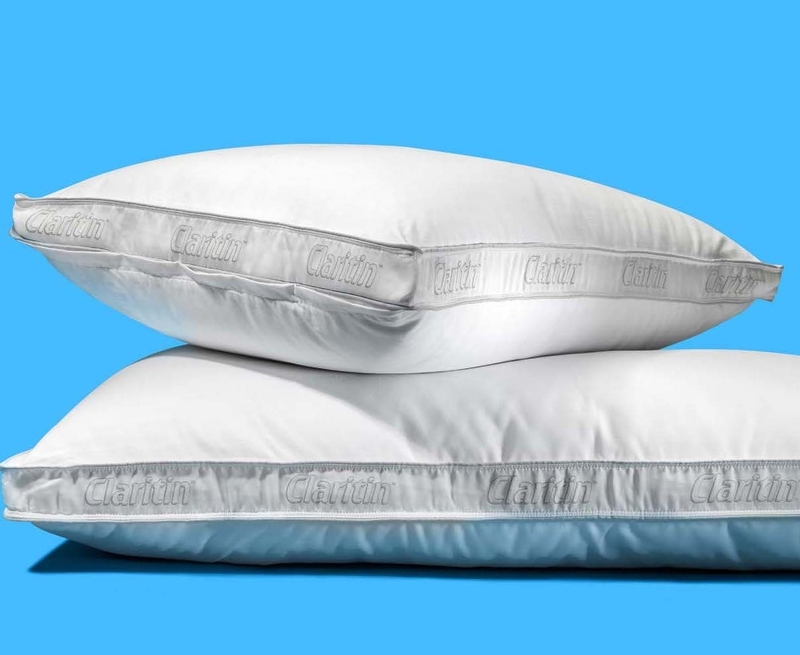 Check out why Claritin won as our mid-price pick for the best pillow on BuzzFeed Reviews. 4. 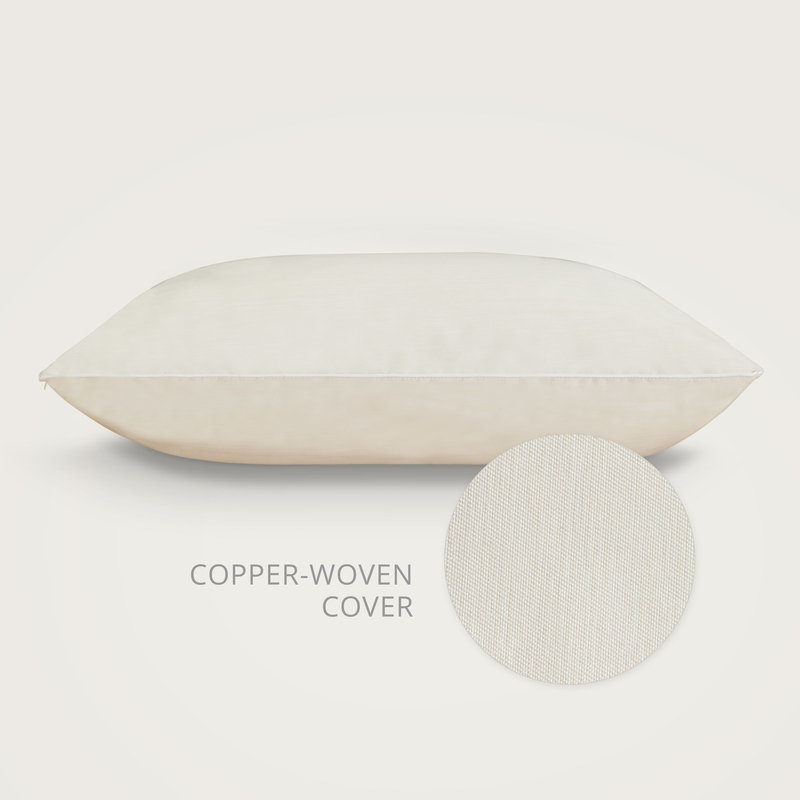 Tuft & Needle prides itself on the durability of a pillow that also has the perfect balance between support and comfort. This plush pillow will grow old with you, providing a serious bang for your buck! Why it's great: Tuft & Needle offers a 100-day trial for its pillows, so you can take them for a test run before committing. It also claims its pillows are lab tested to last for 25 years! Shipping: Free shipping and free returns to the 48 contiguous United States. More shipping info. Get the standard pillow for $75 and the king size pillow for $100. 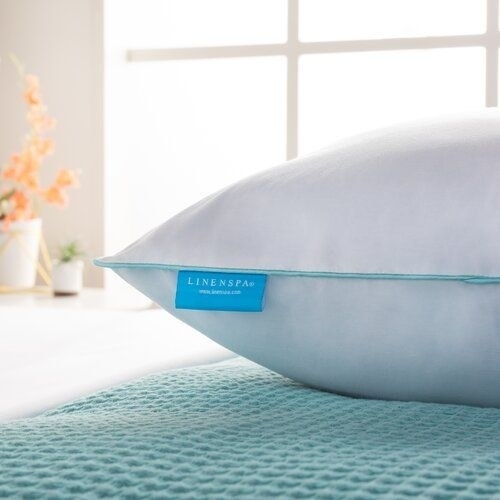 Check out why Tuft & Needle won as our luxury pick for the best pillow on BuzzFeed Reviews. 5. Walmart is a good place to start your pillow search, especially if you're on a tight budget! Why it's great: Walmart carries a wide selection of brands and most of them are at a discounted price. One of the awesome pillows sold by Walmart is copper-infused and antimicrobial (pictured in the left)! Shipping: Shipping varies based on the item. More shipping info. Get the CopperFresh Antimicrobial Pillow for $49.99 and the Spa Sensation Memory Foam Pillow for $19. 6. Purple for brilliantly engineered pillows that seem to be from the future. If purple is your favorite color, then that's just a bonus! 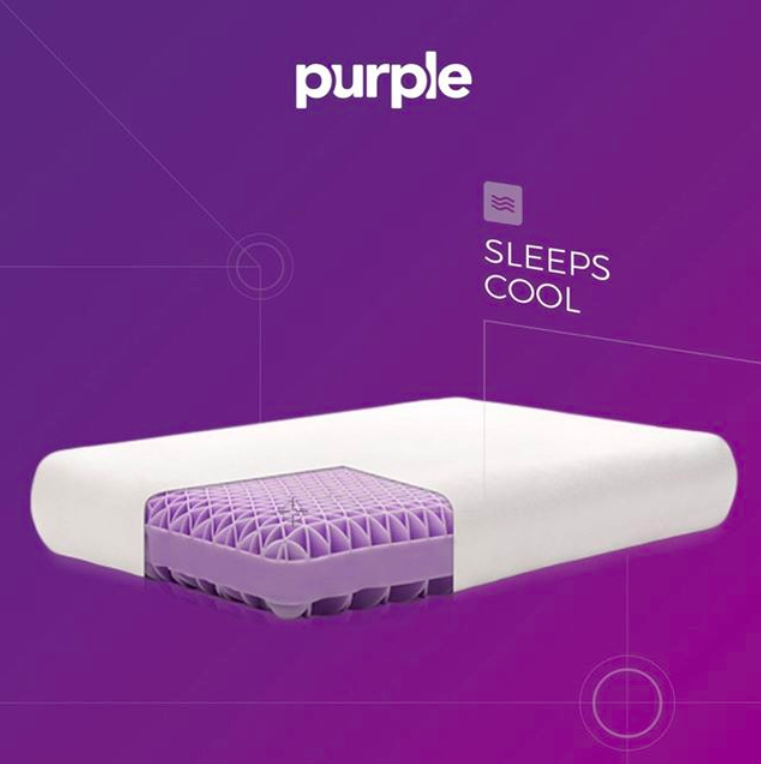 Why it's great: Purple offers a 100-day trial for its pillows, so you can take them for a test run before committing. The Purple Plush Pillow has an adjustable zipper so you have complete control of how firm or soft you want your pillow to be. It also wicks away moisture! 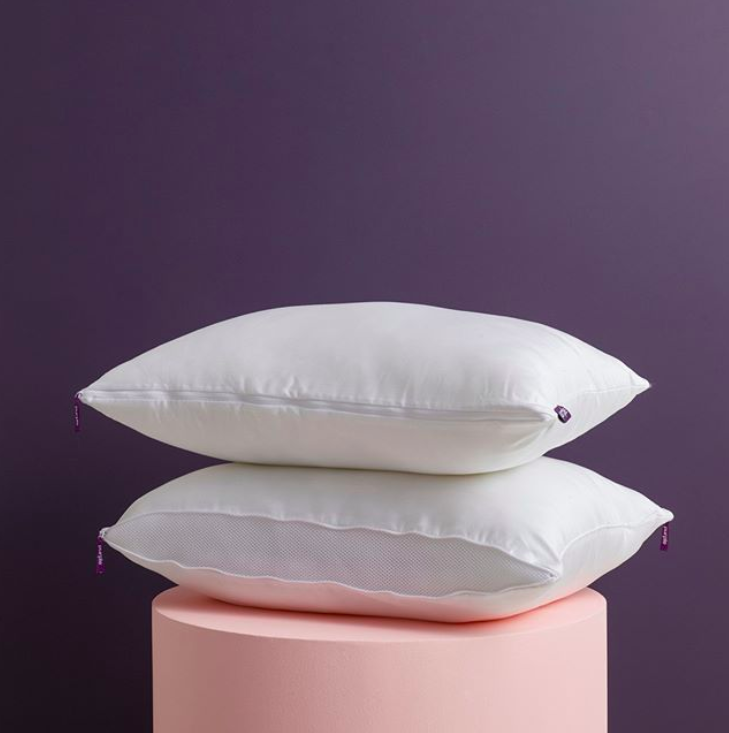 The original, hypoallergenic Purple Pillow is made with hundreds of tiny triangles to provide maximum neck support and it is thermal-regulated so you're always sleeping on the cool side. Get the Purple Plush Pillow for $49 and the Original Purple Pillow for $99. 7. 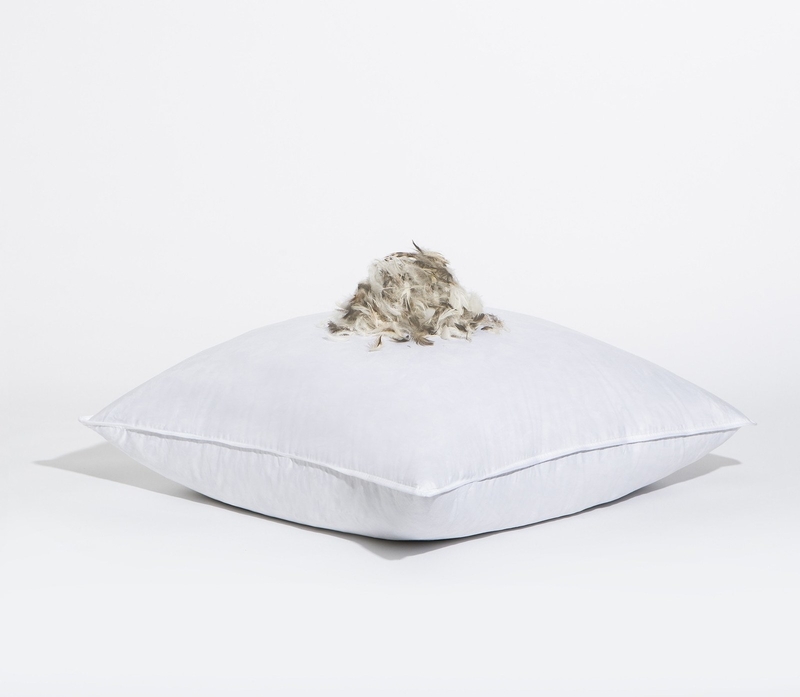 Snowe has pillows that'll instantly make you fall into deep sleep, especially its extra fluffy, down-alternative pillow — truly one of a kind! 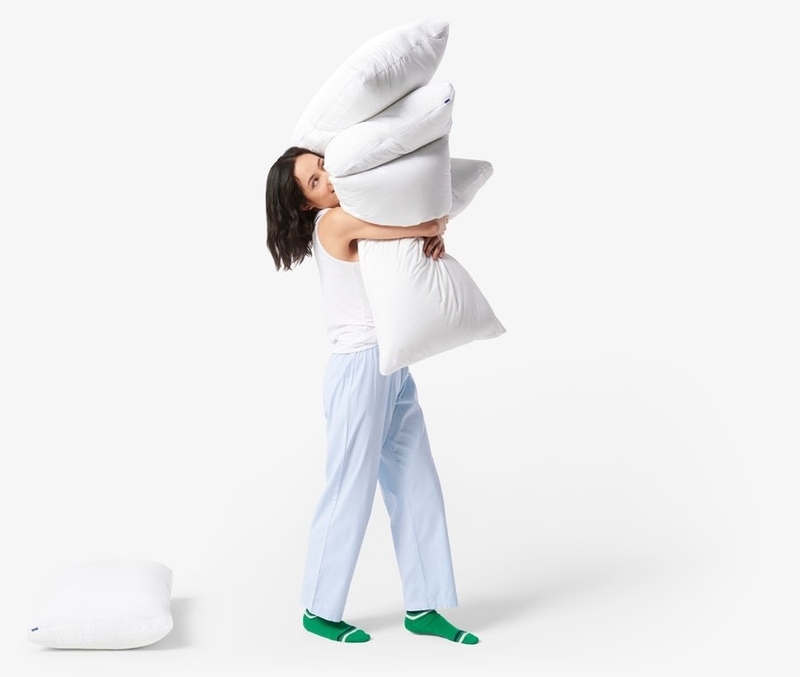 Why it's great: Snowe offers a 90-day trial for its pillows; I doubt this will happen but if you're not satisfied — just return 'em! Snowe works hard to ensure it is sourcing ethically from materials to factories, and it put its products through extensive testing for quality control. It goes above and beyond to get the Oeko-Tex Certification for manufacturing textiles and fabrics free of harmful chemicals. Get the Down Alternative Pillow for $38 (available in standard and king) and the Feather Euro Pillow for $38 (available in standard and king). 8. 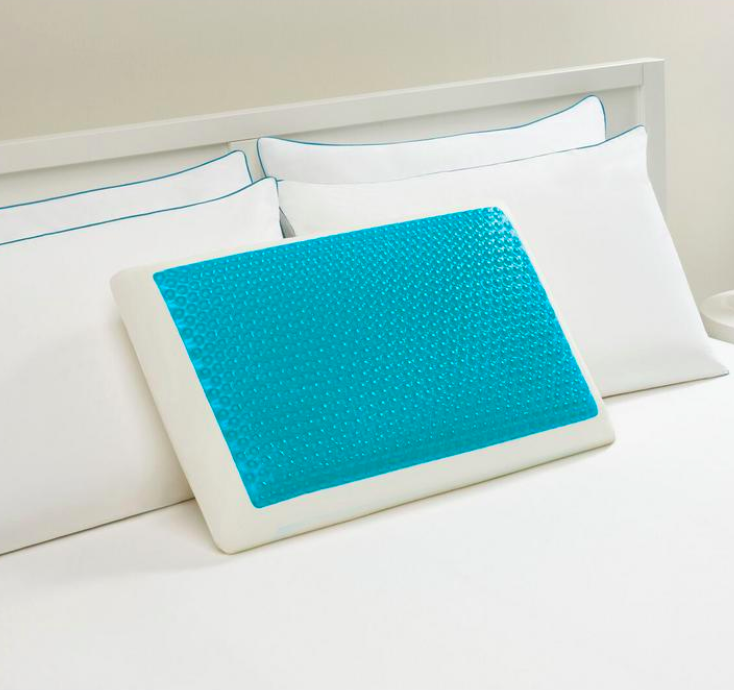 Parachute sells hotel-quality pillows that won't collapse on ya'. Its pillows are so fluffy, they make a bed of clouds seem like a joke. Best of all, Parachute holds its products to a very high standard so you know you're only getting the best of the best. 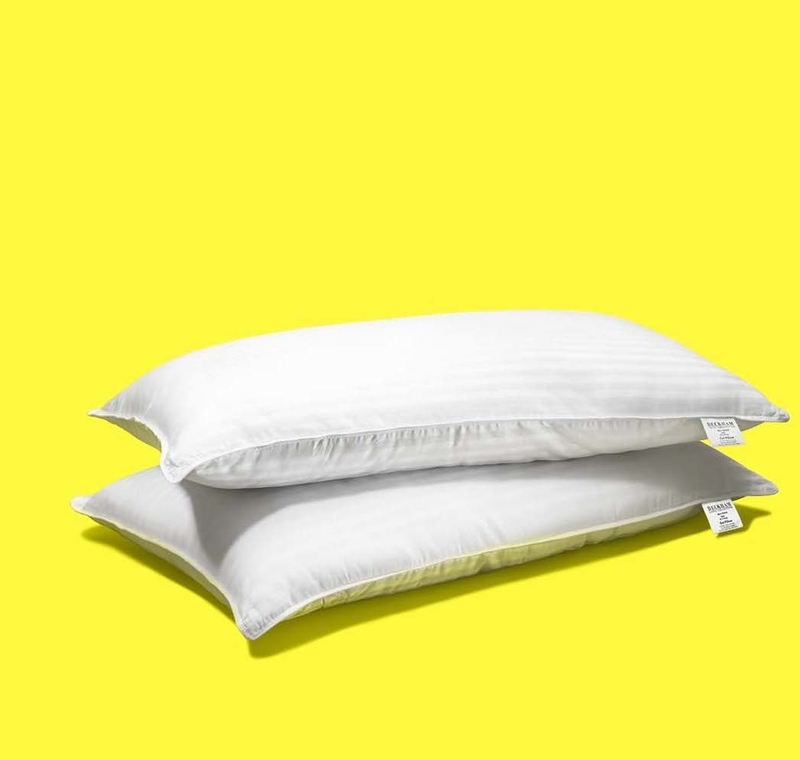 Why it's great: Parachute offers a 90-day trial for its pillows. It also goes an extra mile to get the Responsible Down Standard Certification for sourcing sustainably and ethically from humanely treated ducks and geese. Get the Down Pillow for $89+ (available in standard and king) and the Down Alternative Pillow for $59+ (available in standard and king). 9. Leesa delivers a *restorative* sleeping experience. 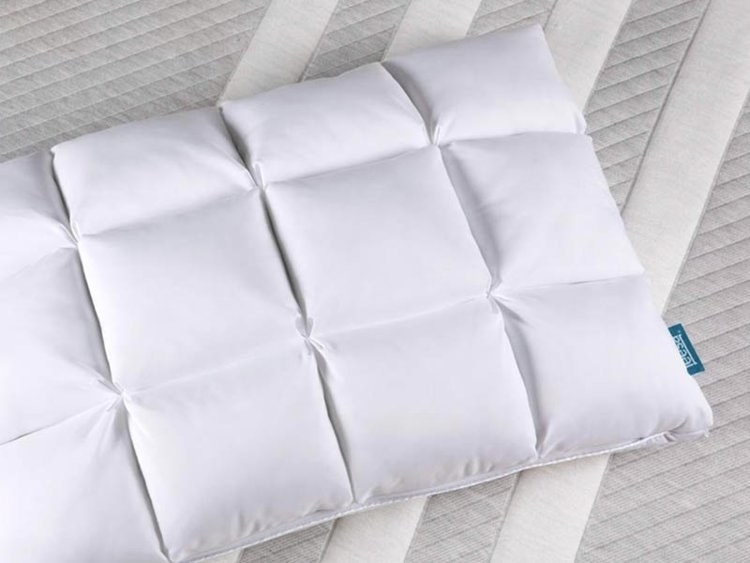 Its hybrid pillow combines a soft, down-like filling with a cooling fabric that'll lull you into a calm slumber. Why it's great: Leesa offers a 100-day trial for its pillows. 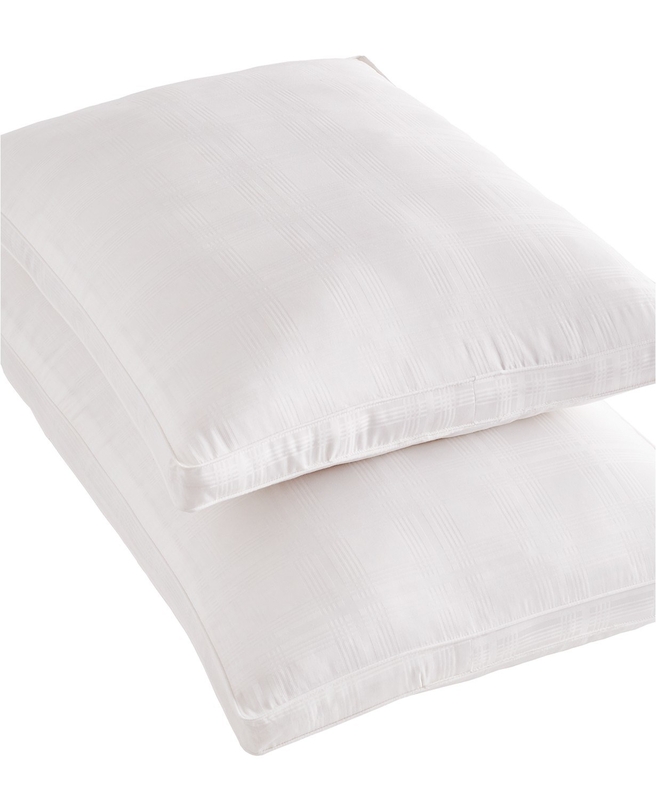 Its pillows are well-ventilated so they're always airy and comfy! Shipping: Free shipping and free returns. 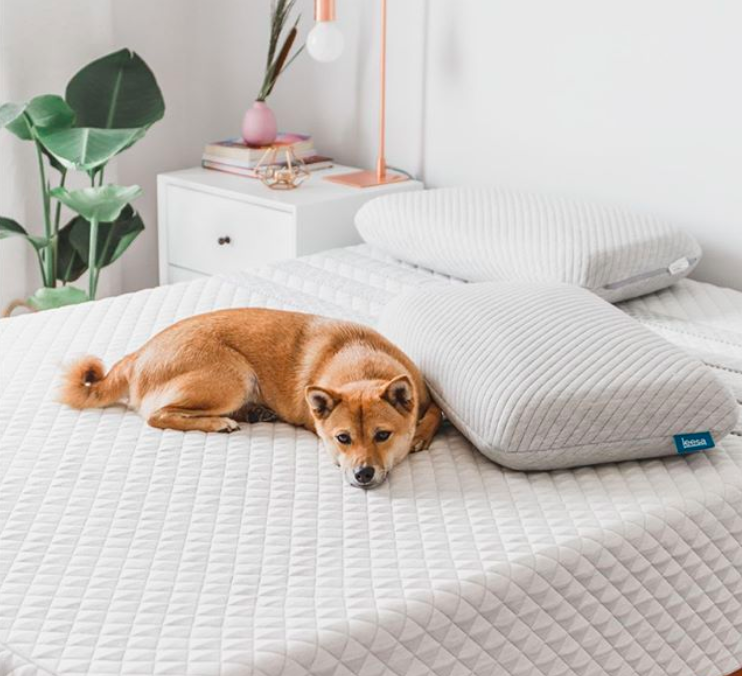 Get the Hybrid Pillow for $125+ (available in sizes standard and queen) and the Memory Foam Pillow for $75+ (available in sizes standard and king). 10. 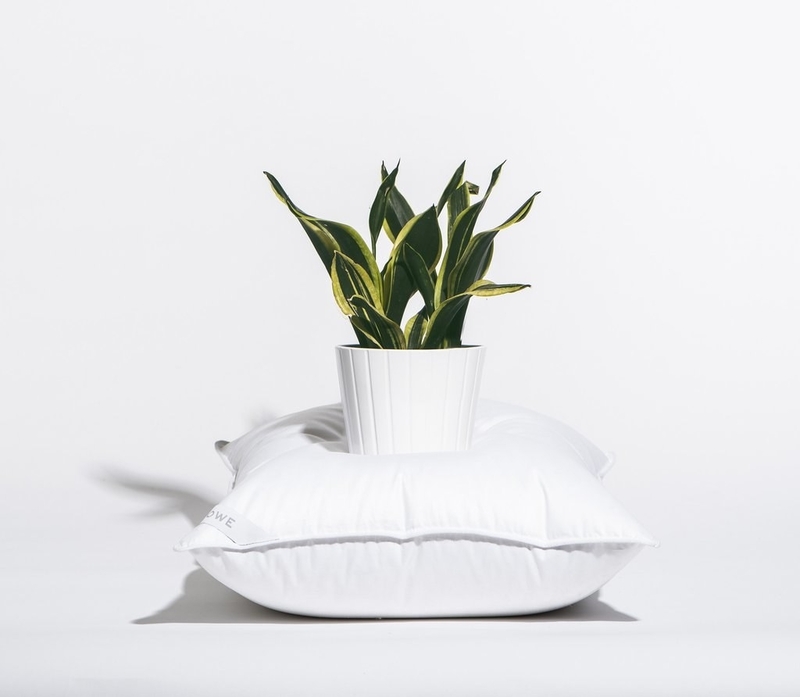 Brooklinen has the plushiest down and down-alternative pillows that will treat your head, neck, and spine RIGHT. Why it's great: For both the down and down-alternative pillows, you can choose the level of plush you desire: plush, mid-plush, and firm. Plus, they're hypoallergenic! Get the Down Pillow for $99+ (available in standard and king) and the Down Alternative Pillow for $59+ (available in standard and king). 11. Wayfair beautifully lays out all the important information you need to easily cherry-pick THE pillow for you. Why it's great: Wayfair has reallyyyyy good deals on a wide selection of pillows. Shipping: Free shipping for $49+ purchases and $4.99 flat-rate shipping for orders under $49. More shipping info. Get the Medium Memory Foam Pillow for $19.97+ (available in standard, queen, and king) and the Prescott Gel Pillow for $31.99 (available in standard, queen, and king). 12. The Home Depot has much more to offer than appliances and tools! Its underrated selection of decor items, like pillows, are almost too good to be true. Why it's great: The Home Depot has wonderful customer service representatives. If you have any questions or concerns — they're ready to help. Shipping: Free shipping for $45+ purchases to the 48 contiguous United States. More shipping info. Get the Comfort Revolution Memory Foam Gel pillow for $55 and the 2-pack Jumbo Bamboo Pillow $27.64. 13. Macy's because hello, what home goods doesn't it carry? Plus, it's hard not to love its Martha Stewart Collection! Why it's great: Macy's is where savvy shoppers go — there's a reason for that. With endless promotions, there's a good deal for everyone, at any budget! Shipping: Free Shipping with $75+ purchase to the 48 contiguous United States or free store pickup. More shipping info. Get the Martha Stewart Contour Memory Foam Pillow for $23.99 and BuzzFeed's Goodful Hygro Cotton for $34.99+ (available in standard and king). 14. Avocado Green Mattress — and yup, you read that correctly! As the name might've given away, it's green and sustainable with products built for relief and comfort. You'll want to avocuddle its pillows ALL night long. Why it's great: Aside from its eco-friendliness, its pillows are also handmade in the USA! It uses 100% natural latex, organic Kapok Fiber from the Ceiba tree, and certified organic cotton. 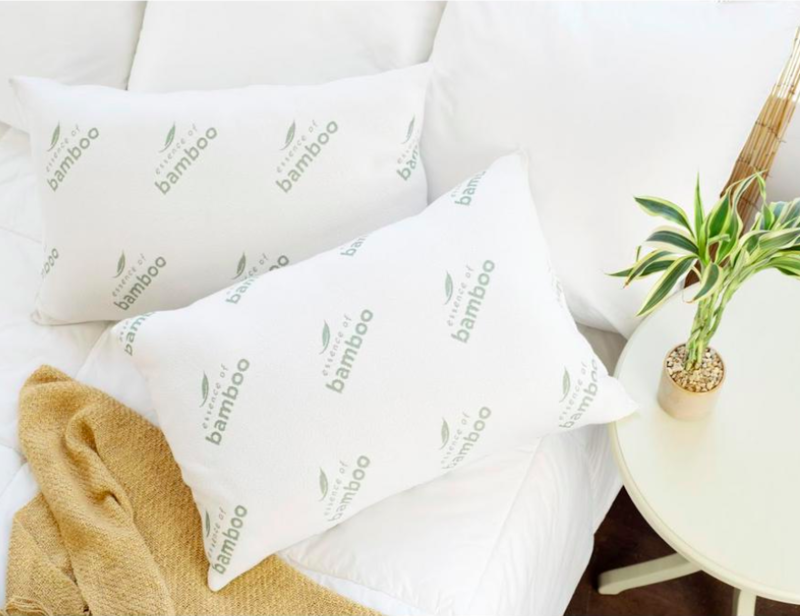 You'll feel as good sleeping on its pillows as you would saving the planet. Get the Avocado Green Mattress Pillow for $79+.